This year do I want to make a resolution to lose weight, save money or learn a foreign language? Or even something more vague like have more tolerance or patience? Let’s just face it, a nice easy resolution is the best bet. If it is easily achieved, and that achievement will give you a warm fuzzy feeling that you have actually accomplished something. Having no resolution also works, but then you have to defend your reason for not having one when asked, so it is just easier to make one up. Resolutions regarding improvements to your life style and health are truly worthy goals, but they are quite a bit harder to achieve, given they require sustained effort and many obstacles. Those of us with chronic pain have some unique challenges when coming up with resolutions regarding our state of being. Pain simply affects the way we perceive goals and the future. I can only assume if someone just broke their leg and I were to ask them what their goals are, the top one would be to fix the leg and eradicate the pain. Not such an easy goal if your pain is chronic, now is it? So it would not a reasonable goal to set, because it leads to disillusionment and what we are aiming for is accomplishment. More reasonable goals are such things as; learning to cope with pain, seeking alternative treatments, being more persistent with demanding a treatment or considering elements such as diet. All of which would make you feel better potentially, all of which can be tricky to achieve. Pain fixes a person in the moment. Your body demanding attention in some way, persistently, such that thinking about any future moment is hazy. In such a way we must consider pain and its unpredictability when setting goals (or doing anything really.) Everything becomes an ‘if’- if I am up to it, not in too much pain, not afflicted with various debilitating, nauseating or annoying symptoms- then I will do such and such, assuming I am not too tired. And if your life is run by ‘ifs,’ it can really make any fixed goals beyond that day rather tricky. You can, on the other hand, have vague inclinations. I am full of vague inclinations to do things and several vague intentions and plans as well. To set any future, year long. goal you must understand some of those ‘ifs’ will slow your progress and even disrupt it. So to have a resolution to exercise every day, does not take into account the many possible ‘ifs’ that could make that not happen. So it is always better to make a resolution more flexible, such as exercising a certain amount of time per week or three days out of the week. The next problem is will power. Will power is not a magical ability or a character trait, it is something that needs to be be constantly maintained. Will power is putting a chocolate bar within your direct line of sight, but telling yourself not to eat it. Obviously, if the chocolate bar is not within sight, it is easier to not give in, but then you must use will power again consciously when the chocolate bar is there within reach. That would be the tricky part when you have a chronic illness. For example, your desire and intent to go to work every day may be overridden by your health. So while we use a great deal of will power to do things we need to do, the more pain the less sufficient pure will power will help you. Think about it. All that will power to get out of bed, dressed, fed and off doing what needs to be done, and there isn’t a whole lot left over. Let alone exerting will power to achieve a long term goal, consistently, when your body does not consistently agree with your will. So goals such as maintaining any new routine of diet, exercise or a normal sleep cycle are hard to establish and keep, when disrupted by moments when pain and other symptoms completely override your will. It can be done, as we develop a certain tolerance to base line pain and thus will power is sufficient most of the time. But it is a factor to consider. You must understand that pure will power will not achieve your goals. You must have quite a bit of patience to train your body to new habits and routines, enough positive reinforcement for your successes to get past the pain it causes and enough forgiveness to keep going even if you slip up once in a awhile. And then you may achieve your goal, but if you do not, you must also allow yourself to accept the fact that not every goal is achievable. You and your body must compromise on any actions. We all want to be what we once were, to do as we desire, to fulfill tasks because the mind remembers what the body could once do. You are not defined by your illness, but your ‘being in the world’ is. To ignore it is to set goals that cannot be achieved, which leads to failure and a sense of defeat. It takes an understanding of your limitations to set a goal that can be reasonably achieved. Which is why I tend not to set goals. In fact, I tend not to think about the long term future too much, because it rather resembles the present in too many unpleasant ways. However, this year I do have a New Year Resolution- to quit smoking, a bad habit that I have kept simply because it is hard for me to fathom how it could make me feel any worse. That is until I was diagnosed with asthma and that rather makes the whole smoking thing a tad more idiotic. And I was doing quite well at this task, exerting my constant will to not smoke, using every quit smoking product ever created and then I would get a massive migraine, will power out the window, and would smoke five or six. For some reason I want a smoke when I am in a lot of pain. I believe it is a distraction thing. So my resolution is to quit smoking, mostly because I do like breathing. Thank you for tackling this tricky subject. I used to be very fit – I worked out 4-5 days a week and had been free from my food addiction issues for almost 20 years. Then, chronic pain hit. I was still doing relatively well… then, chronic fatigue hit. BAM!! I was to exhausted to make most meals, let alone healthy ones. The worse I got, the worse my food choices got. I quickly found myself in comfort food mode and have been battling it for almost 2 years (and 15 lbs later – ugh). It is encouraging to know that I’m not alone in my battles. I wish you great success as you tackle your smoking habit. I have no doubt you will triumph over it! I just stumbled across your article and found it really interesting and sensible. I’ve actually just written my own piece about dealing with the whole New Year’s Resolution phenomenon on my blog http://www.yourlifeinrecovery.blogspot.co.uk I’d love to know what you think of it. Best wishes. Most of mine were about taking better care of myself – like eating healthy food (whether or not I see the numbers on the scale change) and taking my pills without complaint. I tend to think of resolutions as goals, and I need to feel like I’m making progress on SOMETHING, even if that something is vague or small. I used to get discouraged because I approached the whole thing with an either/or mentality, meaning when I broke a resolution, I gave up. But if anything, chronic illness has forced me to learn to be a lot more flexible in my goals, and that if I mess up or have a day when I simply cannot achieve a goal, I try again the next day or whenever it is possible to do so. I am going type up my own list for 2012 for my blog right now. I’ve set long term goals without doing so at New Years, because I’m better at saying “I want to move to San Francisco” than predicting when it’ll be in reach. I moved to San Francisco in 2011. I was expecting to spend 2011 saving up to move to San Francisco and had various self-bribery plans to build up the maximum savings Social Security allows in order to get here. Now I’m here, with zero savings left, having done it on much less money than that with a lot of help from my friends. I like Christine’s approach to setting Easy Resolutions. I’ve got more will power than is good for me – but it’s hard to put that kind of focus onto a year-goal. What worked for me during 2011 is a thread on an art forum I belong to where I set monthly goals. I don’t usually achieve all of them. It’s a rare, bad month that I don’t achieve any of them because I always put some easy ones on the list. So here’s to vagueness for long term goals. “Improve my writing” is a good one. I sure improved my art in 2011 without realizing I was doing so, if I put this on a year-goal basis I’ll probably be able to measure some improvement. I’ve got a novel I’m editing, one that I’m finding more and more problems with the rough draft. I’ve got several blogs I’m maintaining that could get better articles. So there’s a goal that would bear fruit for the long term without being so specific like “Become self employed” that I’ll look at myself next December and stare failure in the face because it really takes 18 months to do it from this point instead of 12. So let’s rephrase that one too. “Work on becoming self employed” takes the deadline off of it. If I keep moving in that direction, I’ll get there when the results of my efforts are enough to make it happen. Vague is good. Anything where more practice is going to give improvement is going to be doable without having to specify how much improvement. It’s too easy when planning for that far off to fall back into assuming other people’s pace and other people’s resources don’t give them big advantages. What I count as a success gives momentum. When I miss a deadline that looked realistic, it gets discouraging. So 2012 is going to be the year I get vague and see what happens. Madelyn, thanks! I just reposted that comment to my blog, a little rewritten. Didn’t realize I’d written something that funny last year but it saved me the effort of making up something new for 2011. Life is way too short wasting it trying to clean up as if you were abled and had time left over. It’s amazing how much of housework is pointless – and how many runarounds there are to make it easier and especially cut down the amount of time and work spent doing it. What’s odd is that the people who are best at it seem to be ex military. They teach them efficient ways to clean up in basic training that don’t waste time or effort, despite all those old gags about cleaning latrines with a toothbrush. Organize once and it may make it a lot easier to keep it clean. I also try to reduce the amount of trash I leave around, it made a big difference to keep a small trash bag next to where I usually sit so that I don’t have to get up to throw things out. Weird but effective. I didn’t think something that minor could eliminate that many pointless trips, but it did. The more you arrange things for convenience the more spoons you’ve got for the things that really matter. The ones you actually enjoy. Thank you for publishing such a helpful article. Even the comments were helpful! This will be my first year of having a; “New Years Resolution”, in the seven years I have suffered with CRPS, to help encourage others! Since joining this site a couple of months ago I have been so encouraged by all of you. We can affect others or infect others so I’ve heard. You all have definately affected me by all of your encouraging words and kindness. It is my hope to, “give back”. Pay it forward…what ever terminology needed. Having a place to give helps me keep my mind on others and less on my pain. Happy New Year everyone, and may we all have a better year in 2011. I agree with you about will power, especially when it comes to smoking. I tried numerous times to quit and was successful for various lengths of time. Eventually, I gave up and went to a hypnotist. Believe me, even walking to his office I didn’t believe it would work (had bought a new pack of cigs that morning), sitting in his office I didn’t believe it would work, after leaving his office I didn’t believe it had worked (I certainly felt no different). Went home certain that I would want a cig after dinner, while in the bathroom, definitely in the morning with my coffee. Kept waiting for the desire to smoke so I put the just opened pack of cigs in the freezer and after a week gave them away. That was 11 years ago and I have never ever had a desire to pick up a cig. It was like I had never ever smoked so my body no longer had an attachment to all of my old “smoking habits.” Give hypnotism some thought…I am now a believer. Good luck to all who desire to quit smoking. E-cigarettes. I have the janty dura (http://usa.jantyworld.com/index.php?page=shop.product_details&flypage=yagendoo_VaMazing_1.tpl&product_id=4226&category_id=14&option=com_virtuemart&Itemid=177) and I find the push button smoke requires a lot less pull than most of the breathing activated e-cigs. I love the fact that you can pick your nicotine dose, and the number of flavors too – personal favorites are clove, bitter apple, and vanilla bean. And I still use the e-cig (0 nicotine for me, because it’s not the nicotine I smoke for) pretty regularly – it’s helped keep me at a few cigs a day rather than returning to a full pack a day. Best of luck with quitting! 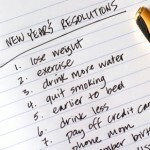 Well, I’ve written on resolutions in my blog and on eHow and in yesterday’s comment. But I have a short list of suggestions for people who really don’t want to just say “My New Year’s Resolution is not to make any New Year’s Resolutions” — which I did last year and stuck to, since I *did* have to explain it to everyone who asked. And anyone who didn’t ask but read my blog. 10) Stop measuring my achievements by what other people do and measure them only against myself. This one is the deepest, healthiest one of the lot even though it’s not as funny. This is the one that makes the others make sense. This is why I’m still honestly proud of 2008 as the year that I got my own coffee all year without needing to ask for someone to bring it to me. Basically, look at your life for what it really is, then pick a resolution that will shock everyone and make them laugh because it’s for giving up something you hate anyway, or adding something new to your life that most of those couch potatoes would give their eye teeth for. Do that to NY Resolutions and you will bring down the house laughing — and your goal will actually improve your life. Good choice on your resolution, Nikki! Mine this year is to seek balance in my life. I know what you mean, smoking with asthma has given me three bouts of bronchitis in the last year (granted for six months I did not know I had asthma… so many meds could have caused shortness of breath). Anyway, so for very little luck on that front. I seem to be smoking more because I am anticipating the day when I will have none… thus delaying the day when I will have none. Good for you, Nikki. You’ve written by feelings exactly. Smoking is the ONE thing that I can control and to make my life better, I need to quit. After 1 bout of pneumonia and 2 respiratory infections since September, I’m just about out of air. Here’s wishing us the resolve and strength to get this monkey off our backs and being able to breath through many more years. Take care.